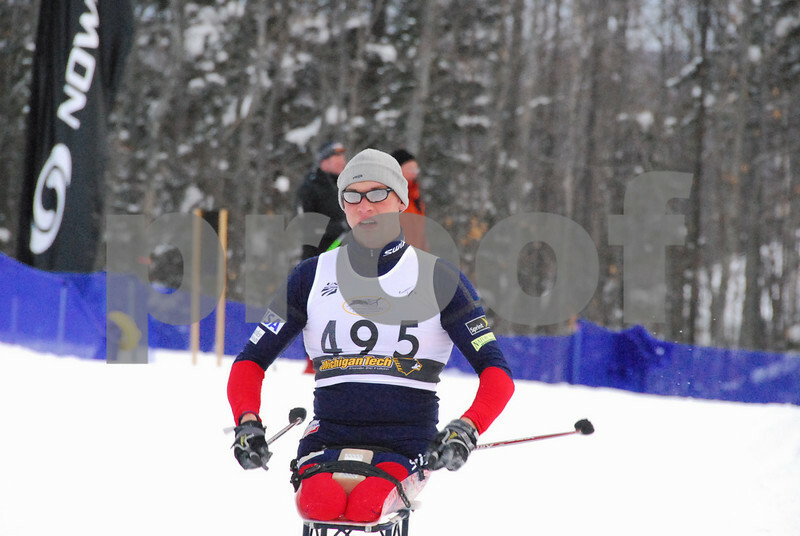 The 2008 US National Cross Country Ski Championships were held at the Michigan Tech Nordic Trails in early January. Here are competition and awards shots of the individual classic competition on Thursday Jan 3. Photos appear in chronological order. For the fastest search, if you have a relatively fast connection, change the "style," above right, to "all thumbs" and bring in thumbnails of all the photos. Also, consider just cruising and trigger the slide show option in the upper right corner. These pics may be downloaded for a fee for personal use, non-profit publication and news use. A higher download fee applies for commercial publication. Other galleries available here feature competition and awards podium photos from other events, along with general pics of the stadium activities and volunteers. High quality prints and photo products may be ordered through this site, and a portion of the sales proceeds will benefit the Michigan Tech Nordic Trails. All images are copyright 2008, Bill Fink Communications, LLC. Permisssion is granted for publication if the appropriate download fee has been paid and the image is credited to Bill Fink, GalleryOnDaLine.com.